We offer the ability to export your data into an Intuit Interchange Format (IIF) file for easy import into other systems, such as QuickBooks Desktop. What will the IIF file contain? Data in the general ledger is what is used to generate the data in the IIF file and will include the chart of accounts, opening balances, customer names, vendor names, and journal entries. You are able to specify the date range for which transactions to include. To export an IIF file, go the Settings in the top right hand corner. 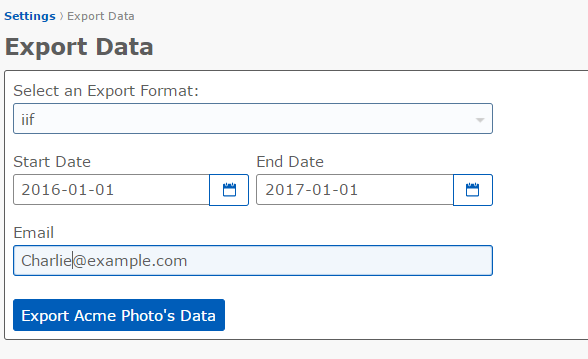 Then select the date range that you'd like to export and click on Export Data. An email with a link to download a zip file will be sent to you once the file is generated. 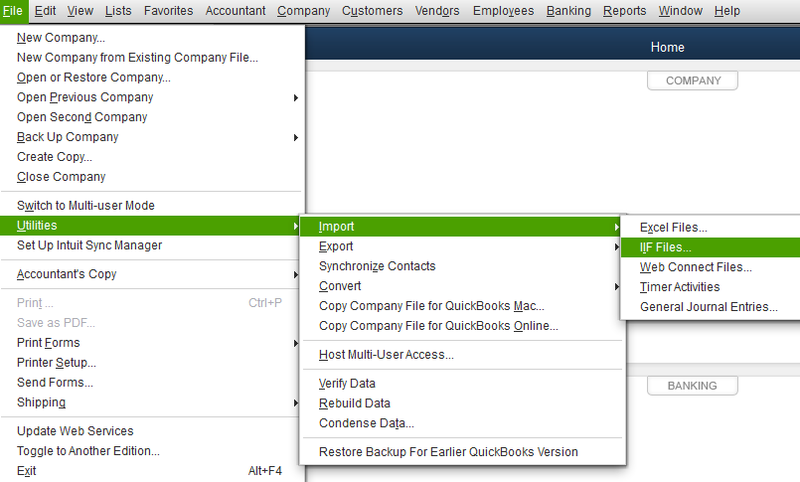 Import the IIF file into an empty QuickBooks company file by going to File > Utilities > Import > IIF Files. 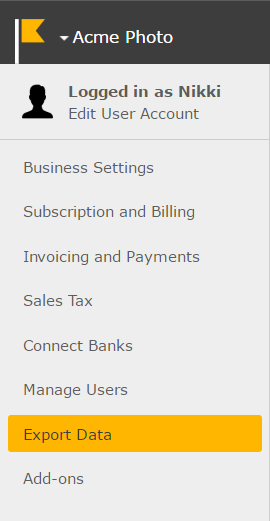 Note: We always recommend using an empty file in QuickBooks Desktop to import the IIF file into since a chart of accounts, customer and vendor lists, opening balances, and general journal entries will be created.